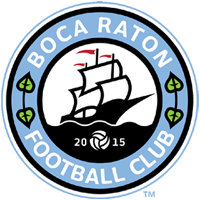 Boca Raton Football is back in the American Premier Soccer League Finals after the club defeated South Florida FC 6-0 on Sunday, July 23. Forward Xavier Silva scored two goals to add to his league-leading 10 goals, Giovanni DiMauro added one as he continues in second place in the league lead with seven. Bruno Militz, Gabriel Bravo, and Robens Decius all added one in the 6-0 trashing of the second seed South Florida FC. With Uruguay Kendall defeating Miami Dade FC 2-0 in the semifinals, it set up a rematch of last year’s APSL Finals that Boca Raton won 1-0 at Broward College to win its first-ever APSL title. Boca Raton FC will take on Uruguay Kendall next week, with the location to be determined. Stay tuned to bocaratonfc.com for updates on the Finals Rematch.